2 short activities. 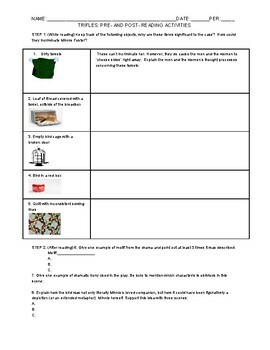 One for during reading and questions for after reading the drama Trifles. The first has clipart of major objects and asks the student how they could incriminate Minnie. The last asks high level thinking questions about motif, dramatic irony, and extended metaphor.